This entry was posted in GoMamaGuidance and tagged admissions, application deadlines, Choices, choosing a school, eChoices, enrollment, LAUSD, lottery, Open Enrollment, public schools in Los Angeles, school admissions, School Choices by gomama. Bookmark the permalink. 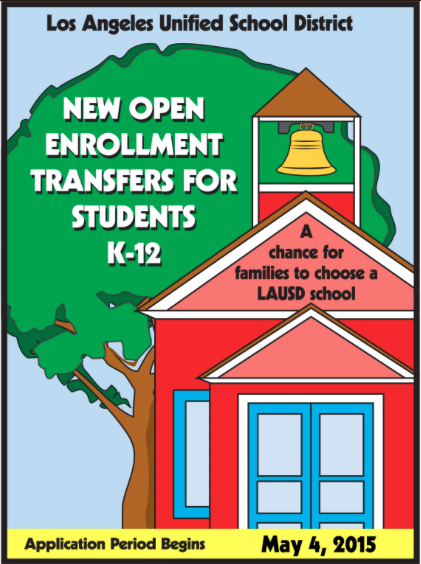 Are you playing the LAUSD Lottery? If so, here is updated information about applying to schools offering an open enrollment lottery. Reblogged this on Sara Reichling. How about sibling priority in open enrollment for those who already have a sibling at that school? Is that happening?